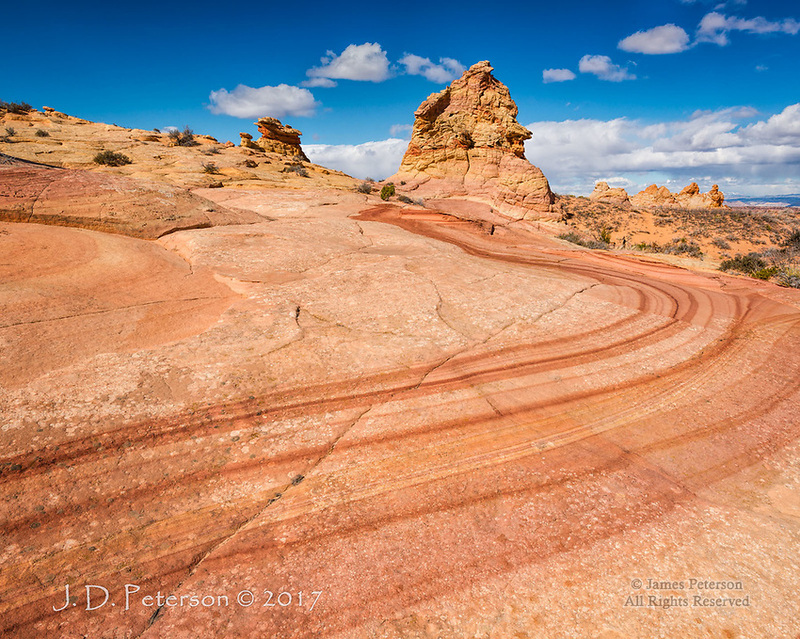 The Swirl, Coyote Buttes South, Arizona ©2017 James D Peterson. This curving band of color reminds me of the yellow brick road. It leads into a wonderland of amazing forms and colors.